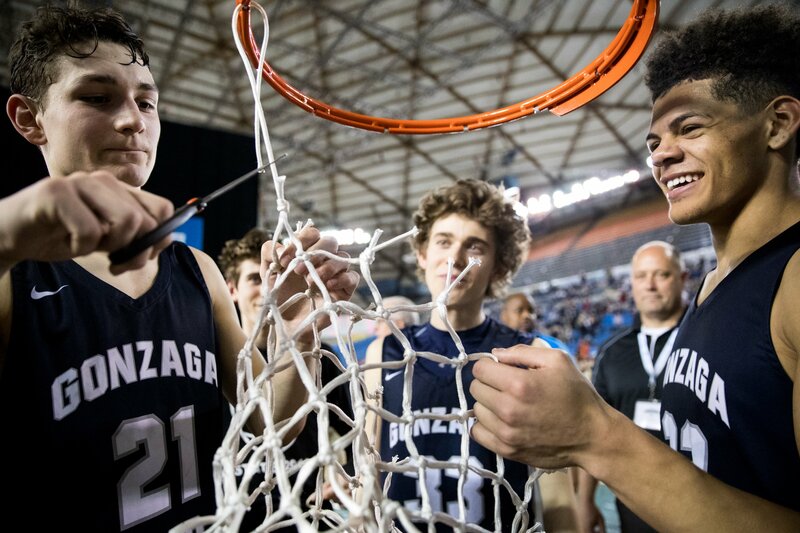 The Gonzaga Prep Bullpups turned in their best season in school history last year, completing a 26-0 season including the WIAA Class 4A State Championship. They beat nationally-ranked Richland twice in two weeks and toppled fellow Washington ranked foe Federal Way in the championship game. The Bullpups return all but one starter and will be led by standout forward Anton Watson. Gonzaga Prep should continue to roll through local competition and will test themselves nationally at Hoophall West and the Les Schwab Invitational. Watson, 6-foot-7 forward and the defending 4A Player of the Year, can-do-it-all for head coach Matty McIntyre and company. Watson averaged 21.9 points and 8.2 rebounds last season, earning state MVP honors. Watson exploded up the recruiting rankings this spring and summer, standing out for the independent grassroots program The Griffins. Watson averaged 25.0 points, 5.4 rebounds, and 3.0 assists at the Peach Invitational against EYBL competition, proving his value on the national level. Watson, currently committed to Gonzaga, is ESPN’s 54th ranked recruit in 2019, and he will have a chance to continue the ascension up the rankings with a strong winter. Gonzaga Prep will enter the 2018-19 as one of the most veteran teams in the country. They feature six seniors in their core rotation and will be led in the backcourt by upperclassmen Sheadon Byrd, Noah Drynan and Jake Parola. Byrd, a 6-foot-2 senior, missed last season with a torn ACL, and he will be welcomed back with open arms by his teammates. 6-foot-4 junior guard Liam Lloyd is an emerging division one recruit and will see significant minutes in the Bullpups’ set of guards. 6-foot-3 seniors Jamaari Jones and Carter Sonneborn are undersized in the frontcourt, but they fit in McIntyre’s system perfectly and should provide a great complement to Watson’s abilities. The Bullpups will test themselves in early December, including a highly-anticipated matchup with Nevada powerhouse Bishop Gorman. They definitely don’t have the size to match up against most of the top 25, but the inclusion of Watson, combined with their tenacious defense and veteran leadership, is too hard to ignore. The ultimate goal will be back-to-back state titles, and the talented Federal Way Eagles will definitely have something to say about that. If they can pull off another state title, a trip to GEICO Nationals is not out of the question.